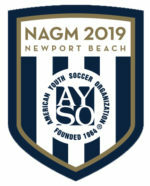 There is always something happening at AYSO! Below you will find a list of upcoming events that you can be a part of. This residential camp is an exciting environment where Referees from around the country socialize and discuss officiating skills and the Laws of the Game. This 2-day soccer tournament will include AYSO teams from around the country representing all levels of our programs. The lottery is now open! To be eligible for the initial lottery draw to be held July 4, 2018, entries must be submitted no later than Sunday, July 1, 2018 at 12:00 pm (PST).